There’s no part of your home that has more of a direct effect on your safety, convenience, comfort, and reliability than your plumbing system. 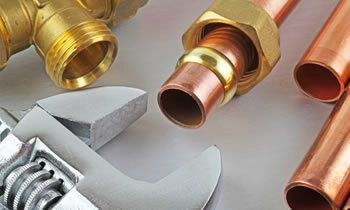 Simply put, this incredibly expansive system is undoubtedly an integral part of your daily routine and when problems arise within it it’s absolutely critical to seek a professional, dependable plumbing service in Los Angeles, CA to provide the proper service solutions to get your home back to functioning efficiently, safely, and reliably. There are a number of damages which can necessitate the help of experienced plumbers in Los Angeles, CA including everything from inconsistent water pressure and a loose faucet all the way to catastrophic pipe bursts and sewage back-ups which result in major water damage. In all of these cases and hundreds more you can count on Five Star Cooling to provide you with the precise service solutions you need. The Five Star Cooling plumbing service in Los Angeles, CA is committed to providing homeowners needing just about any plumbing service in Los Angeles, CA with the quick, convenient, affordable, and high quality solutions they need to get their home’s functionality, efficiency, comfort, and reliability back for good. Our plumbers in Los Angeles, CA pride themselves on delivering the highest quality plumbing service Los Angeles, CA has to offer. To get your home’s Los Angeles plumbing service underway, whether you’re in need of emergency repairs or simply want to make sure your home is functioning as smoothly and efficiently as possible, simply call (213) 263-4112 to schedule a free at-home assessment and estimate with your local Five Star Cooling plumbers in Los Angeles, CA. You’ll learn all there is to know about your specific home’s needs for plumbing service in Los Angeles, CA without any charge or obligation to hire unless you’re completely certain that Five Star Cooling is the company for you.